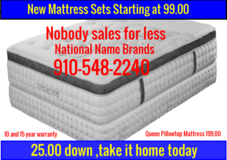 New Mattress Sets,still in plastic,First come ,First Serve!! 5 PC WHITE ROUND DINETTE. 5PC PUB WITH LOTS OF STORAGE! BEAUTIFUL 5PC PUB WITH LAZY SUSAN! 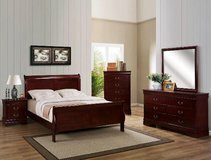 30% OFF QUEEN 7PC BEDROOM GROUP! 5 PIECE SLIP COVER SECTIONAL. SO COMFY! 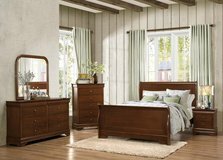 40% OFF THIS GORGEOUS 7PC KING BEDROOM GROUP! BRING STYLE TO YOUR HOME WITH THIS STYLISH AND OH SO COMFORTABLE SLIP COVER SOFA! SECTIONAL AVAILABLE IN 3 COLORS! 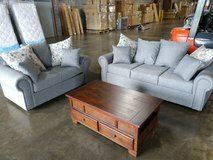 2PC SECTIONAL AVAILABLE IN 2 COLORS! WE HAVE A NICE SELECTION OF DINETTES! !